Read on for inspirational cycling experiences across Ontario. Whether you're looking for rail trails, mountain biking or road riding, we're putting together stories to get you out on two wheels. Join us on Facebook, Twitter and Instagram to get more updates and so we can hear your story. Interested in guest blogging with Ontario By Bike? Shoot us an email! Travelling often requires early departures, so it was with some acceptance that we pulled out of the big city well before sunrise on Saturday of the long weekend. 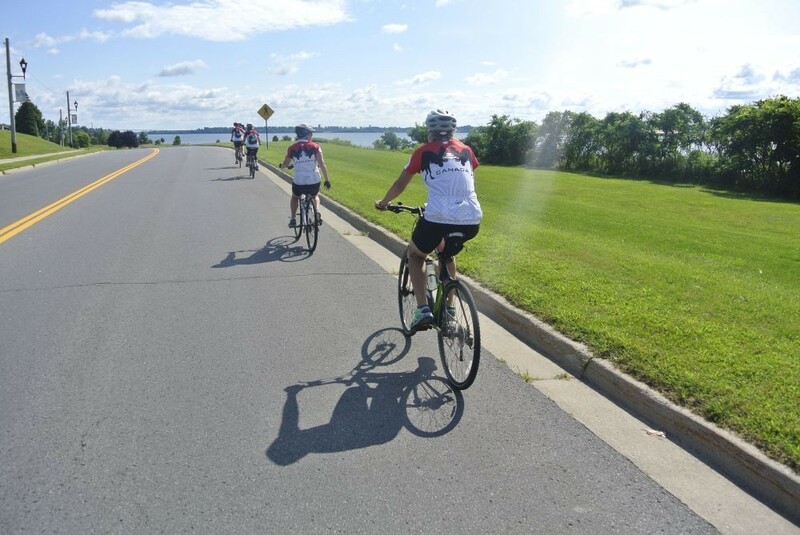 Loaded with bikes and all our ride supplies to keep 35 cyclists hydrated, energized and bikes in good running order on the tour, we hit cruise control for eastern Ontario and our 1000 Islands St. Lawrence River Ride start location in Gananoque. In various states of caffeination we pulled out of town shortly after 10am, and soon joined the off-road trail heading east paralleling the 1000 Islands Parkway. There is something special about crossing water to a destination beyond. Whether it’s a 5 minute ferry jaunt or multi hour journey, that getaway feeling is inescapable. When you pair it with the freedom of two wheels you'll find the ultimate way to slow down to island time. With an abundance of lakes and rivers, Ontario has beautiful waterfront cycling and thousands upon thousands of islands to visit. Here are a few top picks for island cycling this summer.